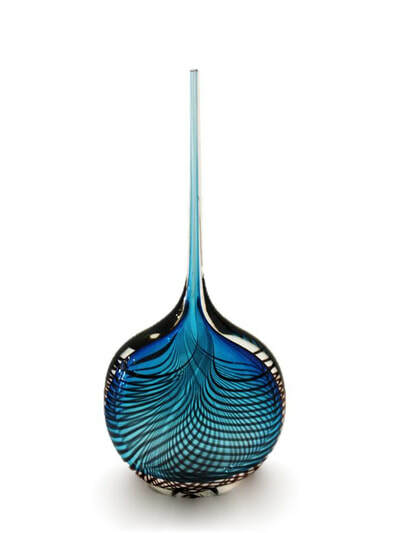 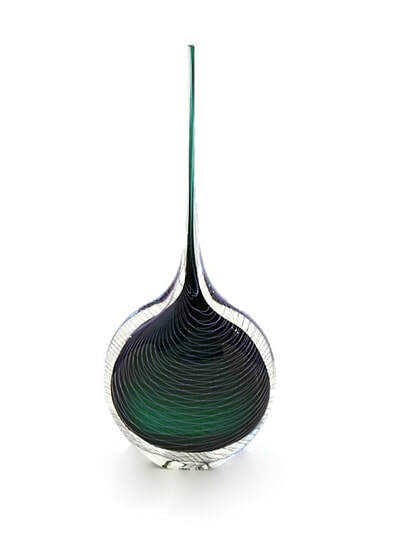 Whanganui based glass artist Katie Brown, is one of New Zealand’s foremost female glass-blowers. 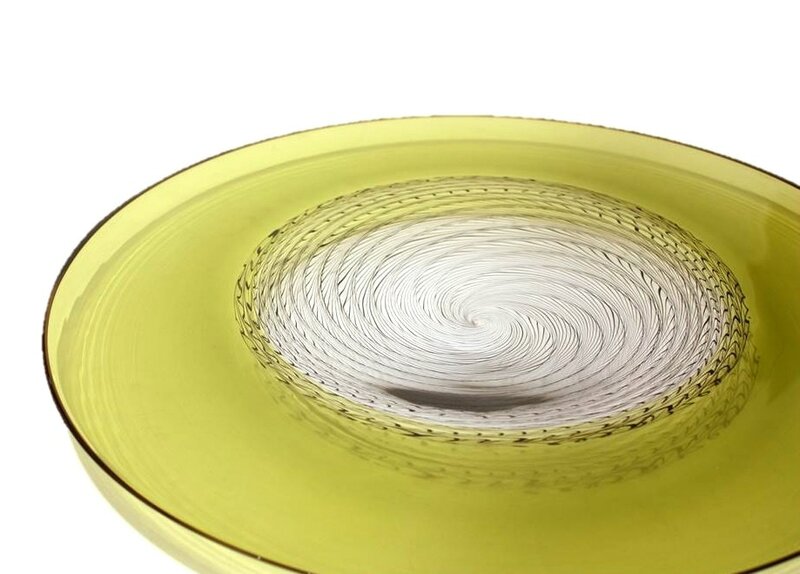 She produces elegant vessels, platters and vases that have a refined and graceful style. 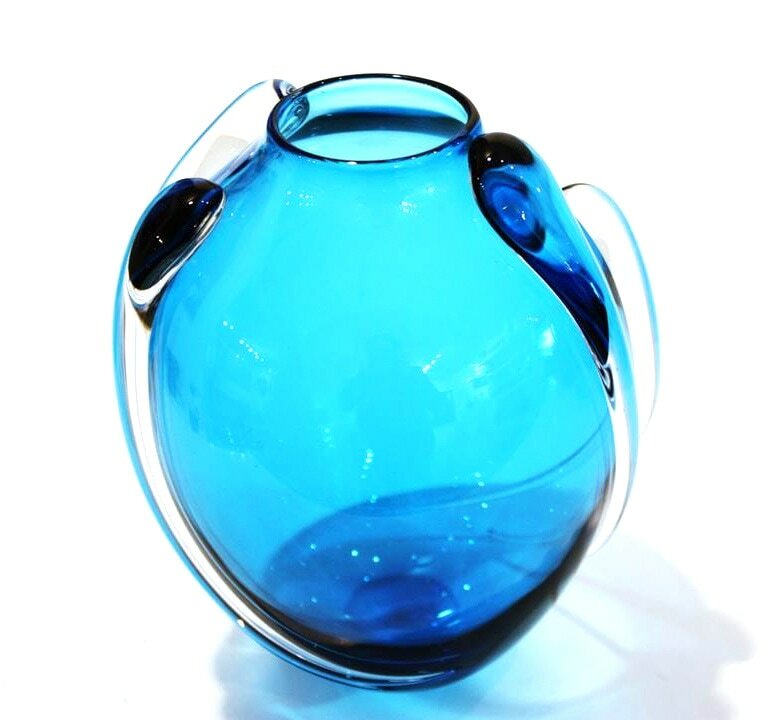 Katie Brown's work is inspired by the natural world and this is reflected within her use of hot glass to create organic forms. 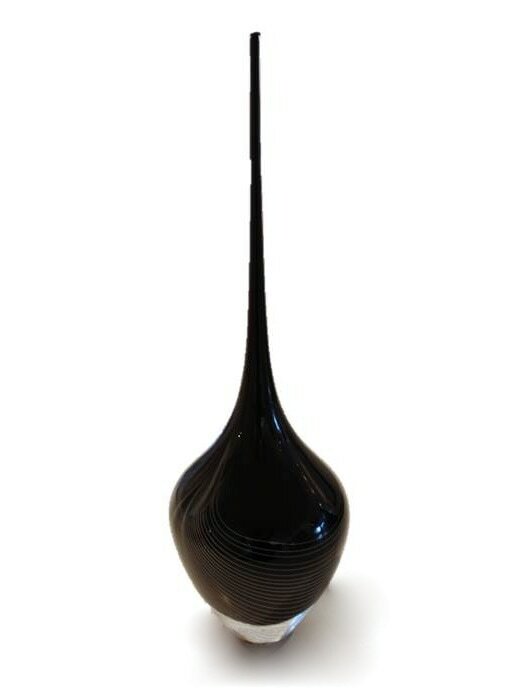 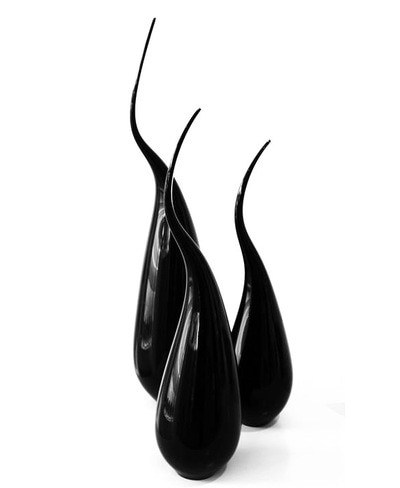 Elongated vases that reach upward, paired with intricate line work is signature to Katie Brown's style. 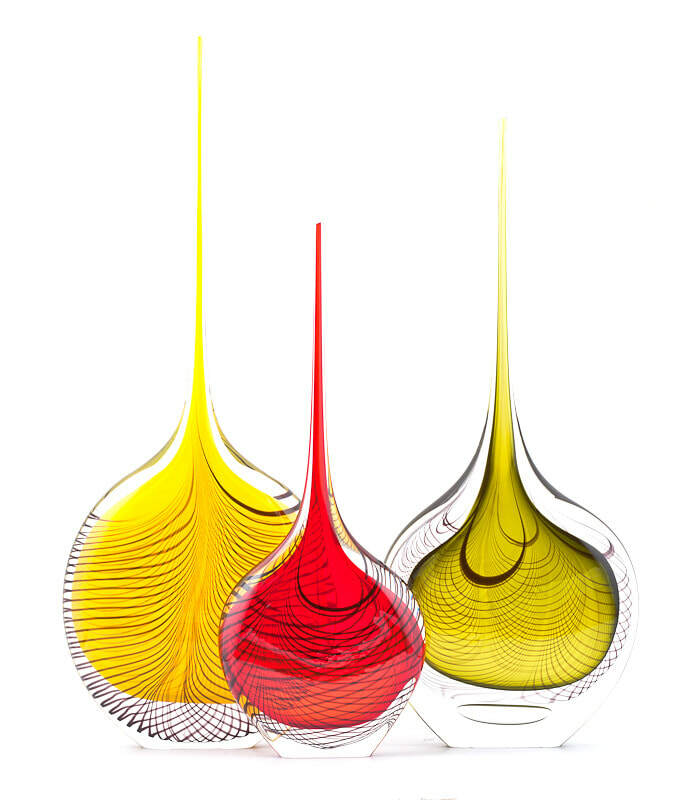 Through her use of colour and cold techniques her pieces display a delicate sense of structure. 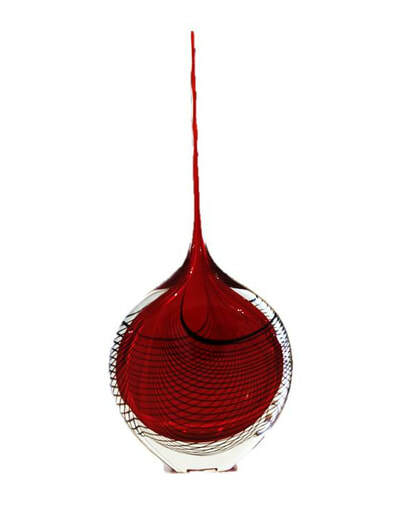 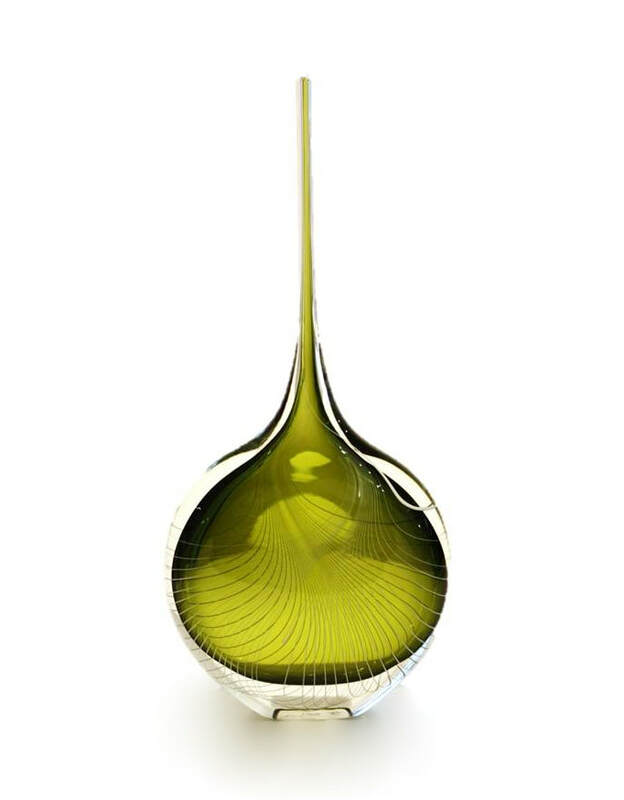 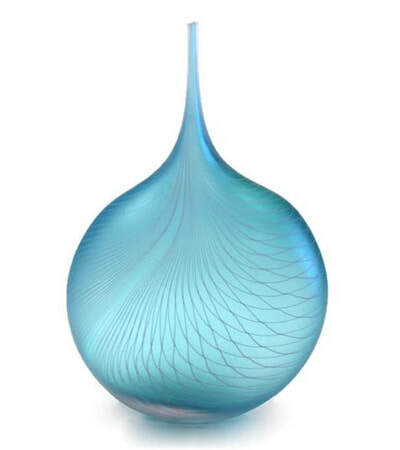 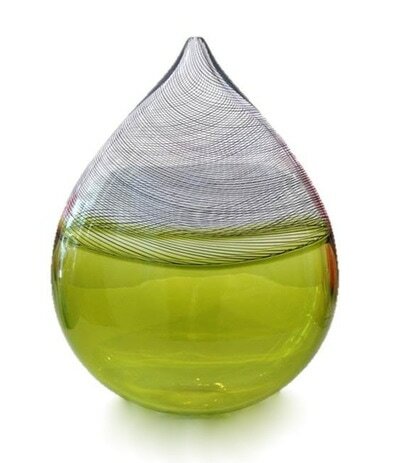 Brown graduated from Whanganui UCOL with a Diploma in Glass Design and Production in 1999. 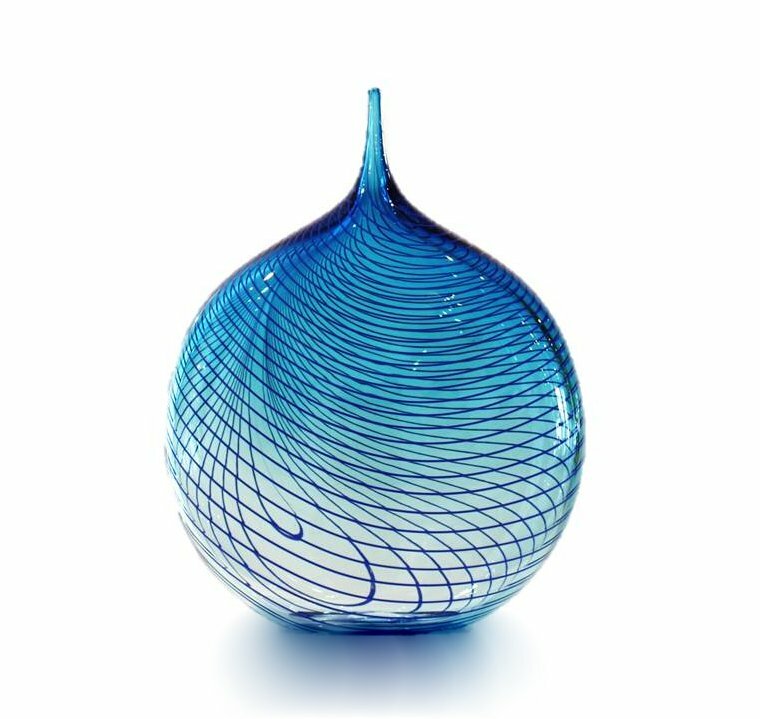 Whilst studying, Katie met internationally renowned American glass artist Josh Simpson, and was invited to travel to Massachusetts to become part of his glass making team. 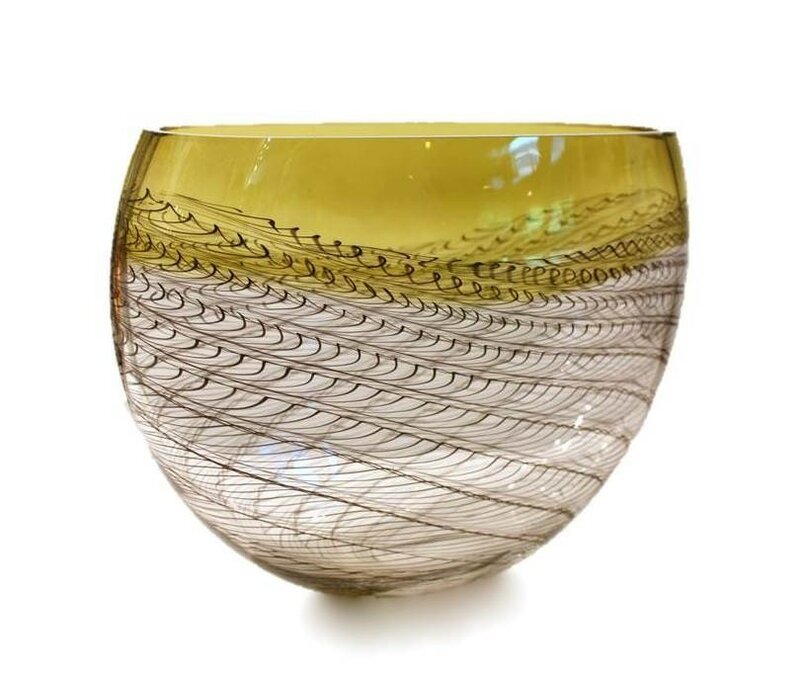 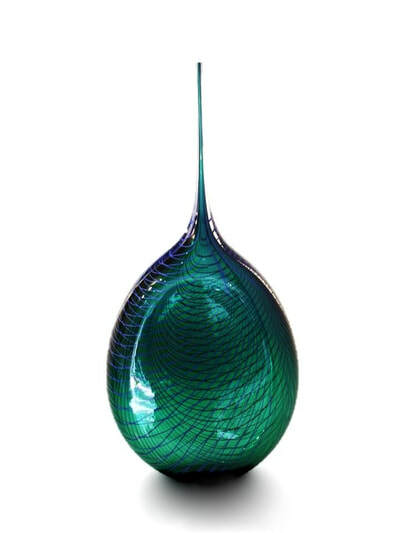 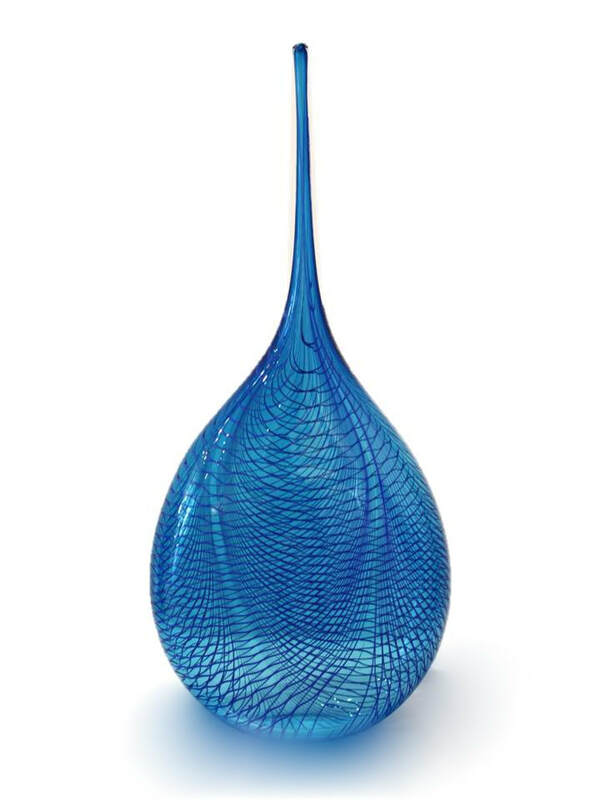 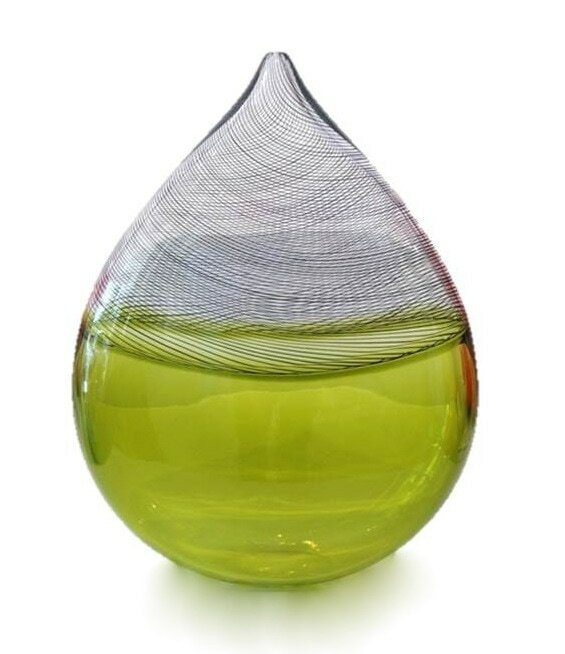 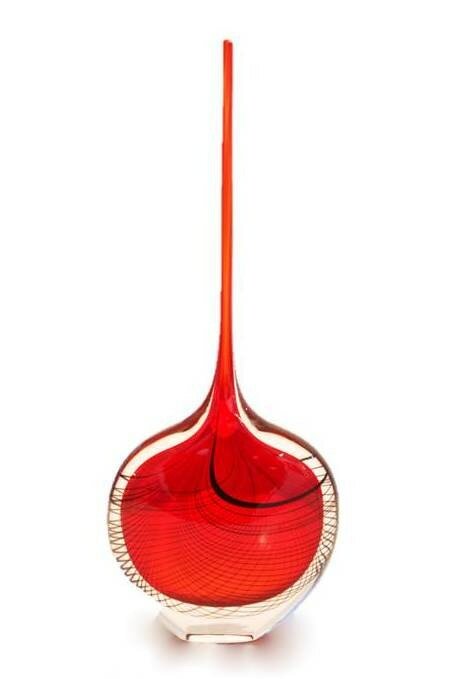 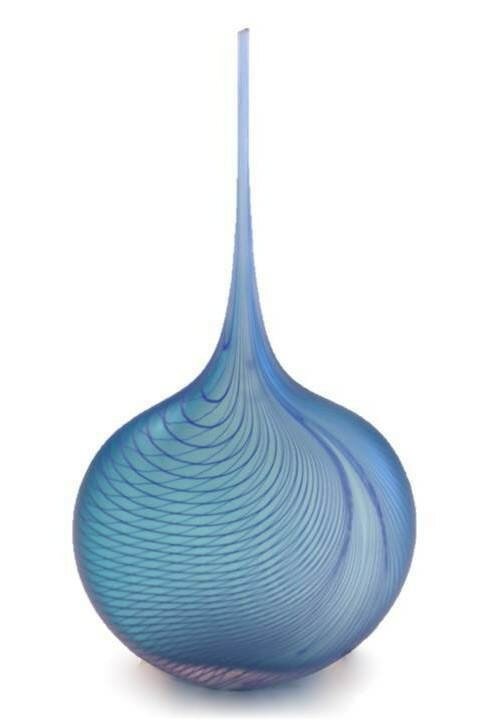 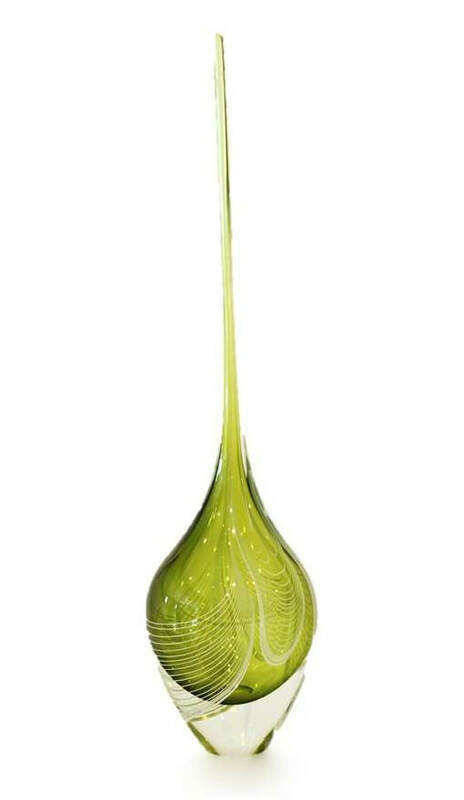 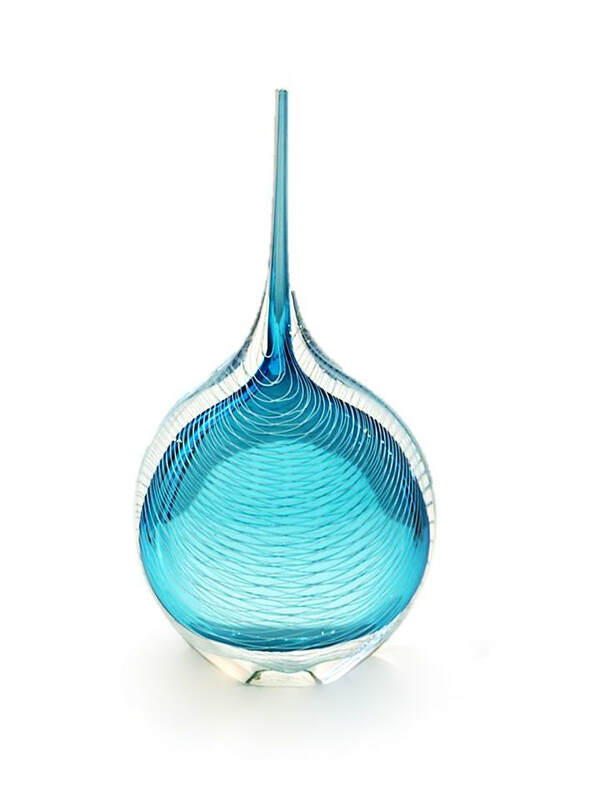 After three years working in the United States, Katie moved to England where she worked with several glass makers, one of them being environmental glass artist Neil Wilkin. Working with Wilkin proved to be a pivotal time in Katie's career. 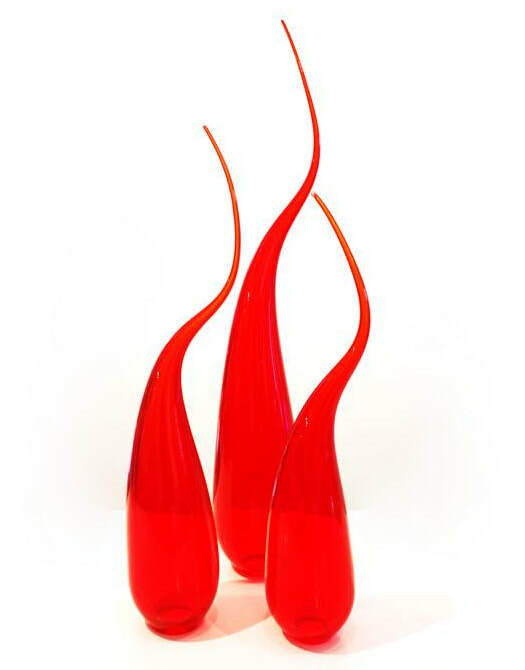 Having her own workspace alongside Wilkin enabled Katie to produce her own work, gaining invaluable skills in the process. 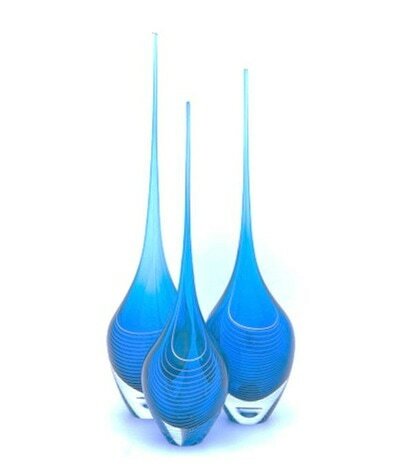 Since the latter part of 2003, Katie has worked as a full-time artist producing her work from Whanganui. 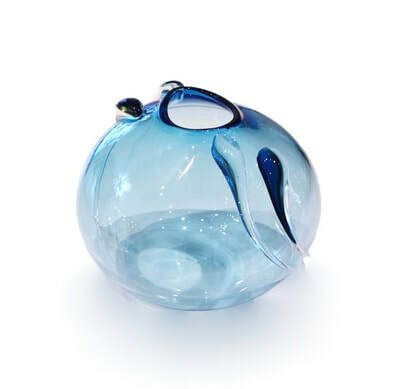 She was a key player in the development of the Chronicle Glass Studio, (now the New Zealand Glassworks) in Whanganui- a community oriented interactive glass facility. She exhibits her work in select galleries around New Zealand and has work held in private collections in New Zealand and abroad. 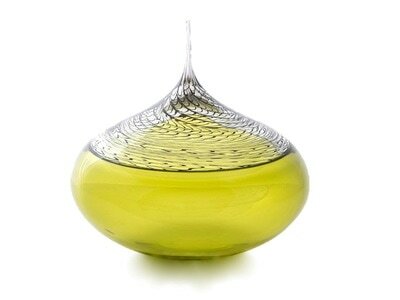 Much of Katie's work is inspired by the natural world and this is reflected within her use of hot glass. Through her use of colour and cold techniques her pieces display a delicate sense of structure.